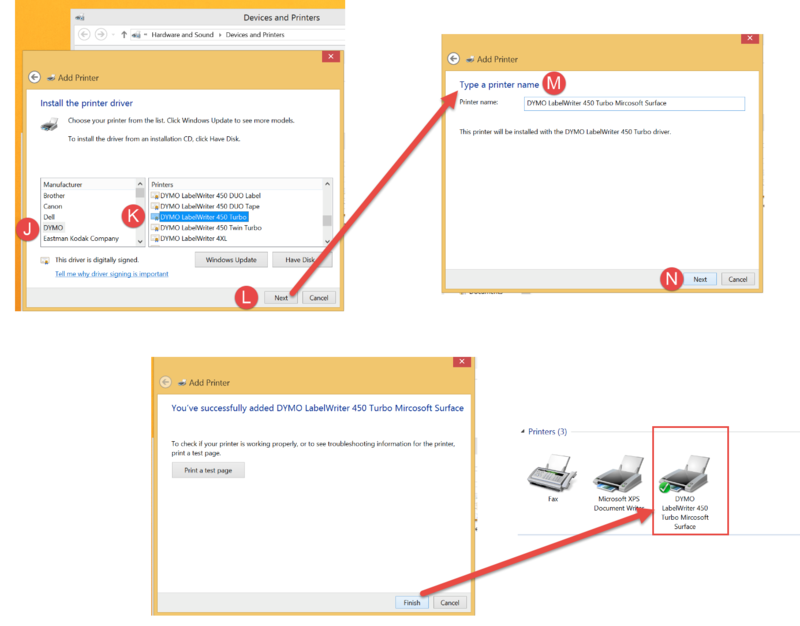 If you connected your Dymo Label Writer 450/450 Turbo on your Mircosoft Surface through USB, yet you’re still having difficulty, the following steps will walk you through on how to add the printer properly. Click “Add a Printer” (A). If you do not automatically see “Dymo Label Writer 450” on the available printers, click on “The printer that I want isn’t listed” (B). Proceed by clicking “Next” (C). Under “Find a printer by other options” click on (D) where it says, “add a local printer or network printer with manual settings”. Then continue by clicking (E). 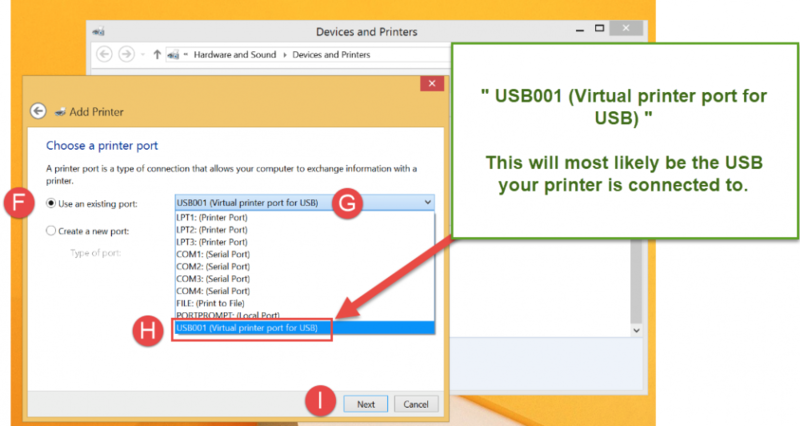 Click on the option (F) to “Use an existing port.” Click on the drop down (G) until you find “USB001 (Virtual Printer Port for USB)” (H) then press “Next” (I). Follow instructions and choose your printer from the list determined by Manufacturer (J) and Printer Model (K). If you don’t see your model, click Windows Update to see more models. Otherwise, click (L). Final step is to type a printer name (M) then click (N). You’ve successfully added your printer.